What do Service industries need from an ERP software? Any service industry is to be the architects, marketers, accountants, financial advisers, engineers or consultants, they offer customized and highly knowledgeable services to their clients. Services industries by nature are project-oriented as they combine numerous projects and financial management solutions. They work on specific verticals meeting the needs of unique niche industries. This complexity and workarounds involved in the service industry often lead them to face many challenges. Especially, the costly software combinations. 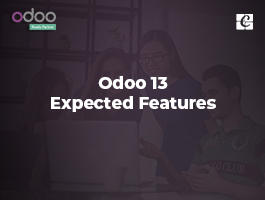 With an ERP implementation, they can overcome the challenges of opting different set of software for each function. An ERP for a service industry can very well fit into the cliché of service business needs. An ERP helps you to streamline every business operations by developing a tailored solution that fits the specific needs of each particular professional services organization. ERP solutions for a service industry can bring high-level change in their workflow, as ERP plays the role of an efficient and robust software handling the implementation of the project, its maintenance of expenditure and maximizing of resource utilization. With an ERP, service industry can benefit with the following features. An ERP software facilitates high transparency and high-quality planning to schedule the service projects. A Proper planning with the help of ERP thus helps the service industry to configure multiple project functions and user interface, thereby making the project implementation better and high standard. The integrated project structure gives you an idea about necessary services, required material, and the associated expenditures. This gives you a good pre-cost overview of your projects. Customer satisfaction can be easily achieved with the help of an ERP as it paves the platform to check the status of your projects anytime and from anywhere. ERP system helps to evaluate the business budget at a glance and check the progress of your services project. In addition, an ERP software initiates better communications across multiple projects in multiple locations thereby improving visibility across the organizations, line of communication between various personnel, departments, and vendors via a single interface. The single interface system in ERP helps the right client with the right service in real time. 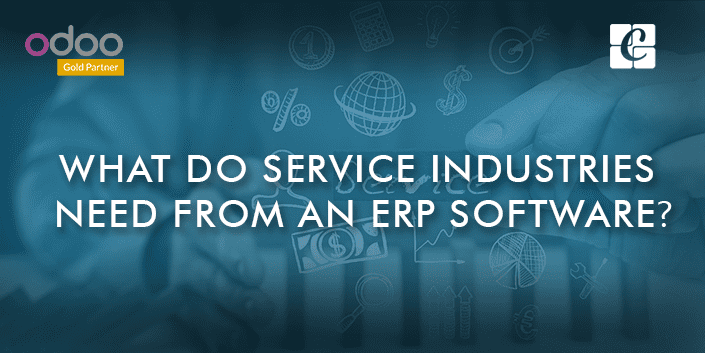 Instead of relying on a handful of separate software programs, and their financial burden, if a service industry opts for an integrated ERP, they can cut down unwanted resource flow. An ERP system can provide all the necessary tools for a services organization to function. The ERP solutions of today are highly scalable in nature, facilitating high-level flexibility among the services industry. It offers customization and flexibility, which is the USP for any services industry. An organization can add and remove components as necessary to ensure the perfect fit. With the ERP, the administrative burden of systems is lowered by creating automatic workflows that transfer critical data from one department to another, helping with the elimination of manual errors and also the maintenance of the consistent flow of data properly tracked and up-to-date. For example, A service industry may have to bill clients on varying terms, and billing rates are to be carefully tracked and managed in order to make sure that the services rendered are invoiced correctly based on the time spent and level of service provided. With an ERP, all these billing activities can be quickly processed and assessed, providing the organization, a quick picture of profitability along with key clients and engagements to support a cost-effective decision making. An effective ERP system in the service industry can help the organizations increase their service provider performance, automate processes, effective communications, better visibility, and cost-effectiveness throughout their operation. Increased access to real-time data improves the ability and capacity of employees to acquire and transmit the necessary information. It triggers the employees to easily identify and communicate bottlenecks, resolve issues, and change direction quickly. With service providers handling varying clients in widespread locations, the ability to communicate progress and availability swiftly is vital to a smoothly running operation. With a unified reporting system, statistics and statuses can be analyzed and communicated seamlessly across the organization; allowing a company to respond and adjust quickly without relying on other departments to procure and produce vital data. The advanced features of a cloud or mobile ERP makes it the most preferred enterprise resource planning option for service providers. An ERP for hotel service industry helps you in managing all the data pertaining to your client, helping you serve your customers better at any hour of the day. It initiates a fast workplace by providing real-time information like availability of rooms, details of check-ins and checkouts, room rent calculation, delivery options etc. An efficient ERP also assists you to plan and coordinate your hotel industry seamlessly ultimately providing your customers “best in industry” experience. 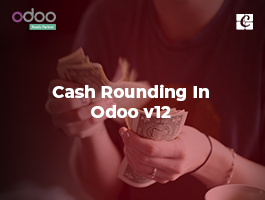 An Odoo/Open Source ERP helps you with the overall management of the hotel industry by monitoring every ongoing process right from kitchen orders & their servings, room cleaning status, customer checkouts, etc. helping you to synchronize further course of action. When it comes into industries like automobile services, an integrated ERP has numerous potentialities to play for its seamless functioning. An Integrated ERP software can provide detailed historical information related to supply chain, production, inspection, genealogy, and usage. Also, it can initiate tracking of every detail about a product from when it arrives at the plant to when it leaves as a finished product. There are a lot of tracking options like a lot, serial number and barcodes for easy identification, movement and real-time delivery of goods. As quality is critical to automotive manufacturers, with an ERP one can easily monitor the maintenance and quality checks via tracking real-time data on all aspects of manufacturing and supply during production, and to store the data in archives for audits or future reference. Also, an ERP for automobile service eliminates the excess inventory cutting down the unnecessary expenses. 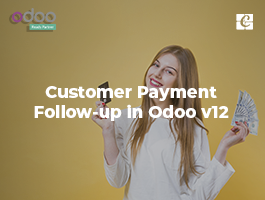 A flexible and responsive supply chain process help you to quickly sense the changes in customer demand and thereby initiate proper feedback on time. A strong warehouse management via ERP can thereby increase customer satisfaction and loyalty by utilizing the real-time inventory data. It also improves employee productivity and overall company responsiveness. One can integrate modules like Accounts, Point of Sale (POS), Sales, Inventory Management, Purchasing and Customer Relationship Management (CRM), for efficiently managing the service industry. An ERP efficiently manages all documents via storing the patient’s details to be stored and timely transferring them to the different health departments like the emergency department, labs or another hospital department. With an ERP every information will be timely updated helping the doctors in making the right diagnoses and rendering best treatment Furthermore, storing adequate data will speed up payments from insurance companies. An ERP also helps the medical industry to manage its finances better by keeping track of patient’s payments and costs of supplies and services. An ERP solution in the educational industry can centralize all the information and data across all departments. The automation of information provides access to information from anywhere. With an ERP implementation, one can simplify data gathering by offering the end users an easy mode of submitting information. One can easily manage the tasks like admission, fee payment, course enrollments and registrations faster without any chaos with ERP. As ERP software allows you to track inventory and resource usage it also keeps a real-time overview of your finances. It is a difficult task to manage memberships, as there are two types of memberships- fixed and rolling membership options. The organizations like recreation clubs, gyms, libraries, charity organizations, chamber of commerce, health clubs often makes our tasks neck breaking in managing their list of contacts. These challenges can be eliminated via ERP implementation, helping to streamline all the information in one place. ERP is encompassed with many management modules with good billing, invoicing and stock management for efficiently managing the business. The ERP services like SMS/ email integration to notify members, Touch POS, handheld order taking and effective payroll can definitely improve business. Following are the benefits of ERP implementation in the service industry. 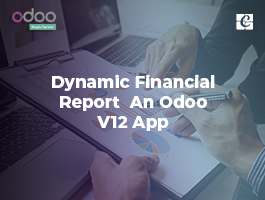 - Integration with financial reporting, ledger, and accounts receivable. If you are looking for an ERP implementation for your business, kindly drop your message to info@cybosys.com. 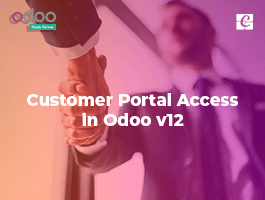 Cybrosys technologies are official partners of Odoo, providing implementation and customization services in Odoo.